Many of us grew up revering institutions Cambridge and Oxford, as clear markers of success and intellect. Characterised as staunchly traditional, wealthy, and exclusive, we rarely give thought to what it’s like once you’ve secured a place in these majority white middle-class spaces, particularly as a black or brown woman or non-binary person. 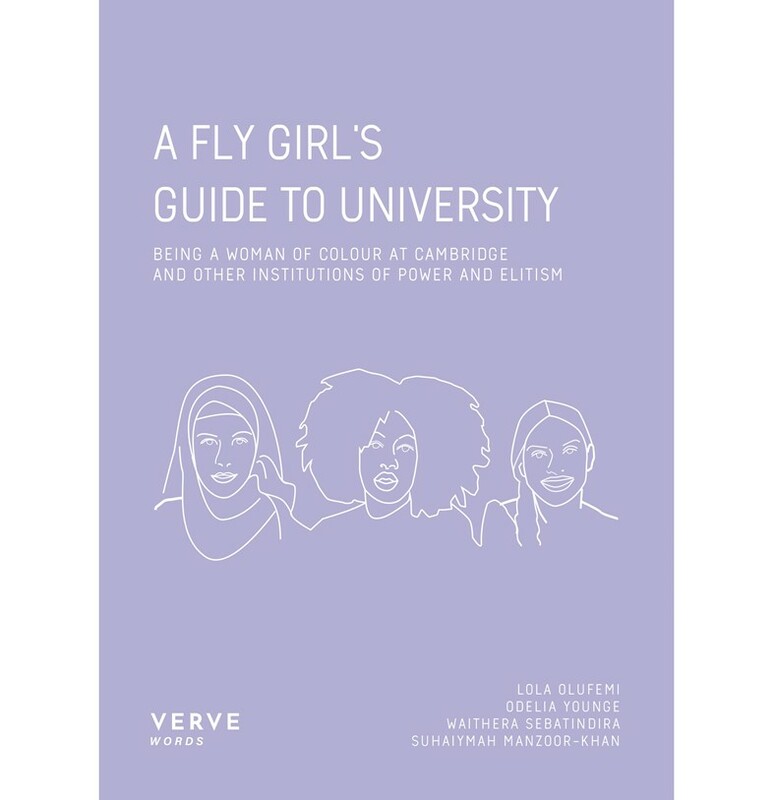 A FLY Girl’s Guide to University, published by Verve Poetry Press, collates the experiences of four black and brown women who studied at the University of Cambridge. All four women came together at FLY, the university’s network for women and non-binary people of colour – a space for solidarity and organising, underpinned by an activist ethos. 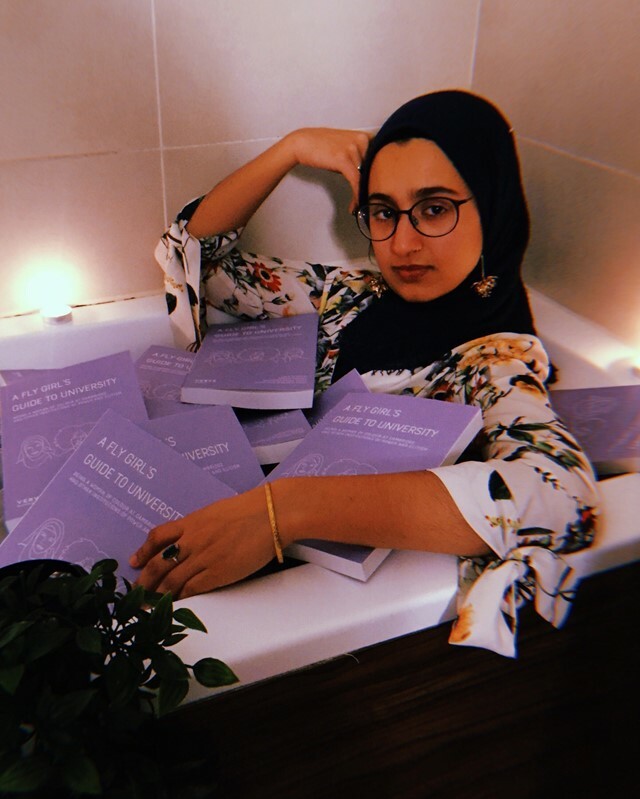 Through essays, poetry, prose, and memoirs, co-authors Lola Olufemi, Odelia Younge, Waithera Sebatindira, and Suhaiymah Manzoor-Khan shine a light on what it’s like to occupy and disrupt an elitist institution when you’re not a middle-class, white, cis, non-disabled man. The work of FLY and its members is less about focusing on the trauma of individual experiences but about their collective response, using theory, feminist knowledge, and anti-racist practice to not only be survive but to thrive through campaigning strikes, holding poetry and film nights for their community, and bringing issues to the attention of the majority. Establishing itself as an organising space, the four women decided that it was important to document their thoughts and situate the legacy of the work that was happening with A Fly Girl’s Guide. The purpose of the book and FLY isn’t about pushing for visibility or representation, but rather a space to think about what kind of campaigning can be done and developing the skills they need to do that. Dazed speaks to the authors about FLY, the purpose of the book, and the importance of spaces to organise, campaign and hold platforms for one another. What did you think Cambridge would be like before you attended and how did that match up with the reality? Waithera Sebatindira: I attended English boarding schools in Kenya and the UK between the ages of 7 and 17, so privileged academic institutions are basically all that I know. Consequently, my resistance to the violent political structures that uphold these institutions has been growing from a young age – from instinctively refusing to say I’d “serve the Queen” as a brownie aged 8, to writing and giving a school sermon against racism, sexism, and homophobia in my final year of sixth form. I expected Cambridge to look like my secondary school (very posh and very white) and I was right. Suhaiymah Manzoor-Khan: I thought what I think most people from state schools think – that Cambridge is for super clever people, that it’s prestigious and important, that going there would be very hard work, and I’d be surrounded by posh people – the reality was quite far from that in some ways, and accurate in others. “Many benefit from privileges – both circumstantial and systemic - such as being wealthy, being white and less likely to be seen as pupils with ‘behaviour issues’, having University educated parents, less likely to have grown up in care or precarious home situations. Benefitting from all those systems of inequality comes from having been handed the right deck to do well in the game. What led you to FLY and what impact did that community have on you? Odelia Younge: I founded FLY a few months into my MPhil. I was having a hard time – the uncomfortable distance during a time when black communities were literally on fire. I had friends, but I had no space to really work through what it all meant for me, and I believe in proximity care. I always have people who care about me, but it's important to have people who can get to you, when you need them. FLY gave me people to have these critical conversations with. And being part of that community revived my spirits to keep going, whether it was my MPhil work or something else – to keep building and moving forward. Lola Olufemi: Structural racism and racialised sexism was obvious to me from the beginning and the book maps out what that did to our sense of self and our places in the university. I think those things became very clear within interactions and curricula. Cambridge is an institution very marked by its silences on racism and sexiam. FLY enabled us to mobilise groups of women of colour and non-binary people of colour, respond to those oppressions and provide a collective response. We weren’t just thinking about our individual experiences, our thinking extended beyond us and beyond the institution. We provided solidarity to each other and crafted resistance that meant that we could exist in the institution without simply reproducing harmful structures. What kind of responses has A Fly Girl’s Guide received so far? Suhaiymah Manzoor-Khan: I think people are just excited that it exists. A lot of FLY girls knew the authors and I think there's a real sense of camaraderie and achievement that this testament to us and FLY exists. There's also been great support from students currently at University and I think in the six years since I first started University a lot has changed so that there's more knowledge and appetite for conversations around racial injustice and how to transform and resist institutions now. Odelia Younge: I’ve gotten messages from people asking how they can support us, that it has inspired them to write about their experience, and that it means something to have similar life experiences reflected back on the page. It really reminds me of the importance of sharing stories so that others can find them. Why was it important to collate these experiences within a book and what do you hope it will achieve? Lola Olufemi: FLY and the book is a way of thinking about the violences and experiences we had while existing in the space, creating our own spaces that countered that and our own methods of survival. It wasn’t about finding a way to liaise with the institution, it wasn’t about shallow representational politics. It was about the fact that whether or not you recognise us, we’re using transformative politics to disrupt business as usual. Waithera Sebatindira: I hope it helps women of colour and non-binary people of colour starting out at university realise that they’re not alone in whatever institution they find themselves in, and that there are almost always pockets of people who will understand and support them. I also hope it encourages them to build spaces of their own if need be and turn their collective experiences of racism and sexism into political action.